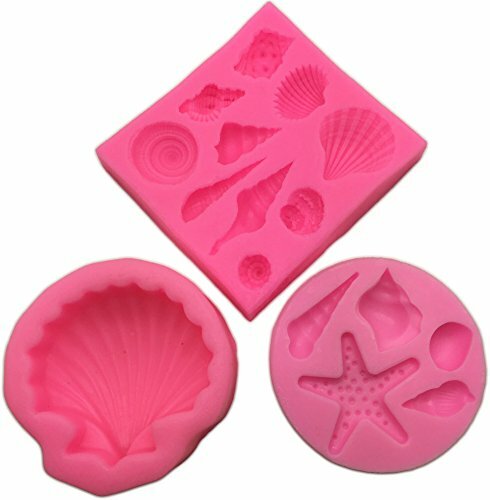 Best value on Amazon - Kit includes 3 of our best selling shell molds. Perfect for mermaid cakes! Kit includes 3 silicone shell molds! Perfect for making chocolates, candies, Jell-O, ice cubes, fondant, and cake decorations! Square mold: 3 inches x 3 inches x .5 inches. Cavities range from 1.75 inches to .5 inches in length. Large round shell: Measures 2 inches by 2 inches by 3/4 inches in depth" W x 1.5" H.
If you have any questions about this product by Okallo Products, contact us by completing and submitting the form below. If you are looking for a specif part number, please include it with your message.